on Thursday – as it showed the faith and love people have for his debut album, Process. It is encouraging seeing the panel recognise a work that stems from painful memories and exudes such emotion – the effort and work that goes into Process deserves an award, for sure. I listened to Sampha’s acceptance speech and, whilst I was thrilled he as honoured, it got me thinking about the Shortlist. Five of the twelve acts nominated were from South London. It is a fertile bed of innovation right now. 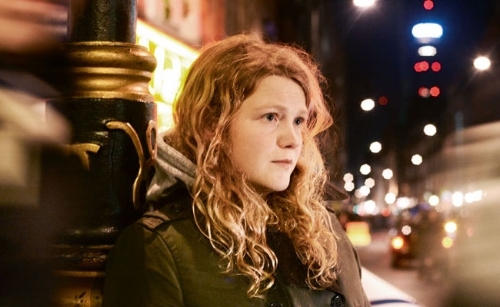 Kate Tempest, who I thought would win the Mercury Music Prize, is from there and proves there is diversity in the area. Sampha’s soulful and hugely evocative songs contrast Tempest’s direct and to-the-brain missiles – a songwriter articulating the reality of modern life and the struggles we are going through. It is important London gets recognition but I wonder whether there is a send of ‘trend’ and ‘cool’ nominating artists from this part of the world. Of the dozen assorted Mercury names, something startling revealed itself: so few are from the North. Ed Sheeran was born in Halifax, Yorkshire (but lives in London) alt-J are from Leeds (another Yorkshire act) whilst Blossoms come from Greater Manchester. One would imagine, when representing the spread and best of British music, one would expect greater northern representation. Maybe one can look at the critics’ favourites from 2017 (and later in 2016) and claim most of the British best are from the South. That might be true but one can also claim little attention is paid to the North. Music still has a London-centric attitude and mindset. This is not a shock but I worry too much of the focus is put on London and what is happening here. I cannot remember the last time there was an equal distribution when it came to our musicians. Most of the new artists I see proffered seem to hail from these parts. I know for a fact there are so many greater bands/artists from north of London. Scotland and Wales (the former especially) is a wonderful area for music – Glasgow among the finest cities for new music. I have a lot of love for Yorkshire and was pleased to see some of the county’s artists included in the Shortlist on Thursday. 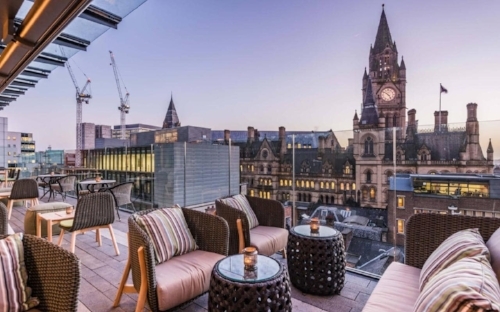 Manchester, and the explosion of talent stemming from there, was distilled to Blossoms. The Stockport-based band was the only act from the North West - and that is something that worries me a lot. There are few parts of the U.K. as hip and happening as the capital. This is where most of the record labels are: the majority of the big newspapers are here and some of the most-established studios. Although a lot of the big businesses and organisations are rooted in London; this does not mean anything north of London is worth ignoring. It is easy to say the reason why events like the Mercury Music Prize featured so many Londoners on the Shortlist was the faith and backing their music was given. 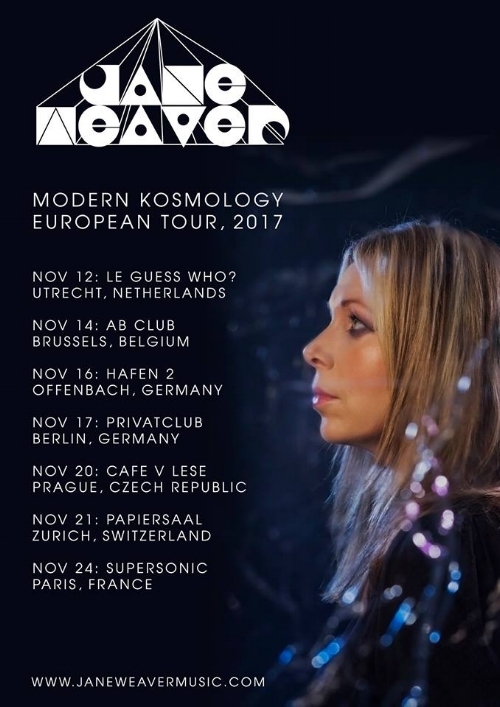 Jane Weaver, born in Liverpool, was expected to get a nomination at the Mercury Music Prize. Her album, Modern Kosmology, deserved a nod. The same could be said of Bristol’s IDLES. Brutalism is one of the most intense and addictive records from any new bands. I know Bristol is hardly northern but it is outside London and another part of the U.K. that warrants acclaim. The only way we are going to gain a full appreciation and knowledge of Britain’s best is when the media gets out of its London mindset. The last time there was a real wave and exposure of northern band was during the 1990s. When Britpop was in full-swing; bands like The Stone Roses, Oasis and Pulp were at the forefront. The rivalry with southern groups like Blur and Suede not only showed the contrasts but it provided a platform for both halves of the U.K. to shine. 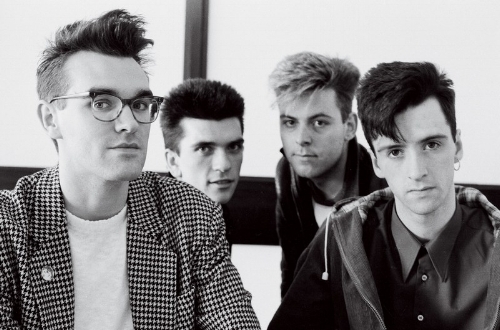 That was true in the 1980s when northern bands like The Smiths - famed for their observations of everyday life and unique lyrical bent - were favourites with critics. There was not the same division as we have today. Back then, there were the great working-class bands that voiced the forgotten and overlooked – penning songs about the country and what was happening. Although we have some wonderful artists now; there are so few talking about anything real and relevant. Many would argue the fact, back in the 1990s when Britpop saw North and South tussle, that highlighted rivalry and divisions. I disagree because it was never a case of showing the differences and splits between the two regions: it was about promoting the distinct sounds of North and South; the quality one could find throughout the U.K. Now, there is so much profiling and love given to London – other parts of Britain do not get a good look-in. I will carry on but, before then, an article from a few years back showed, back then, the issue was as evident and troublesome. “The last high-profile north-south musical tussle took place in the mid-90s when Oasis and Blur went head-to-head in the singles charts during the highly orchestrated, "Battle of Britpop". But nearly 20 years later, relations between regions remain strained. 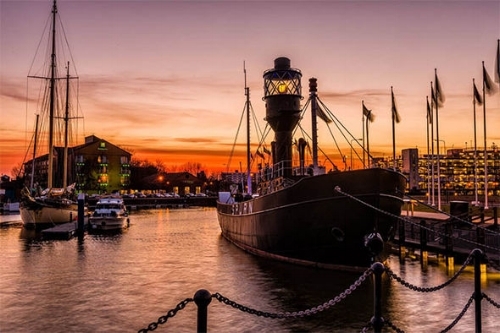 Jackson cites the case of the Paddingtons, a Hull act who were under pressure from the industry to airbrush the city from their background when they started creating what the music business is fond of calling 'a buzz'”. I have heard a lot of bands saying they are from London – because people are looking for artists from here. It is as though, if one says they are from any other part of the nation, they would get blank stares. Maybe this is true when it comes to international. How many people in other nations are aware of the breadth of the U.K.?! Do they know the smaller towns and other cites?! I feel the only way for people to gain awareness of these areas is for the media to stop obsessing about London. The fact musicians have to class themselves as Londoners – even when they are from other parts – is a desperate attempt to gain acknowledgement and popularity. I long for the day when we can have that competitive tussle between North and South. The nation needs a ‘new Britpop’ and chance for the working-class bands best to go toe-to-toe with the more conservative and middle-class options. Right now, there is a dominance of London and the middle-class. I know Hip-Hop/Rap stars like Kate Tempest and Loyle Carner are, despite being London-based, working-class but there are downsides celebrating certain ‘scenes’. Good news South London is hot right now: what about Manchester, Leeds or Bristol?! A few years ago, when Bastille (from the South) and Sheffield’s Arctic Monkeys were the most-popular artists in the U.K. – streaming figures showed where each act was at their peak. Rather unsurprisingly; Bastille stormed things. They dominated the South and claimed much of the Midlands. Arctic Monkey’s success came in the North – very few victories further down the country. It showed a real division and, with Bastille winning an overall majority, how preferred and celebrated southern acts are. In terms of quality; Arctic Monkeys are superior but, because they are from outside London, they are not seen as fashionable, glamorous and worthy. Every phase of the musical moon reveals the splits there are between the North and South of the U.K. I was listening to Idris Elba talking about the artists nominated when he made a bit of a gaffe: he was quick to acknowledge how many great ‘English’ artists are on the list. Maybe he was right to point out the lack of Scottish, Welsh and Northern Irish names on the list – I am not sure that was his attention. 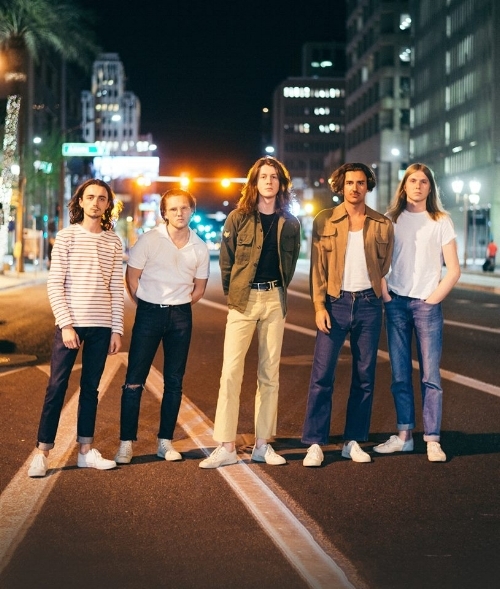 In addition to their being this regional divide – it seems there is a lack of recognition when it comes to non-English musicians. How do political and current developments exacerbate the issues right now? London was one of the few parts of Britain that voted to remain in the E.U. Maybe the fact they are more international/European conscious makes them a more attractive proposition to put out to the world. Most parts of the U.K. voted to leave the E.U. but it is more pronounced in the North. Perhaps they see northern areas as unwilling to assimilate and embrace their European counterparts. It is hard seeing a political divide in the country but, alongside it, musicians are being compartmentalised and torn apart from one another. London is still seen as the wealthy elite and the heart of everything musical. We have this expectation and ideal anything from the North is poverty-prone, grubby and unspectacular. How many people will investigate a band from Sheffield or Middlesbrough?! Those areas are not as glamorous and there’s this perception there is nothing going on there. The poverty of expectation is scaring new artists away. Many relocate to London to make sure they are visible and conscious. So many venues further up the country and closing and, with it, their musicians are fleeing. Many are remaining but have to work harder to get their names heard. I love areas like Manchester and feel the city is no weaker than it was a couple of decades ago. The sounds and ideals might have changed but there is immense quality there right now. Perhaps this is the feeling, because most of the bigger venues are in London, artists are not willing to travel down here. Locality problems and proximity concerns mean fewer artists have the budget to traipse to London for a single gig. The media is much keener promoting the capital’s musicians because they are able to perform locally a lot more frequently. I fear class plays into this sense of separation. There are far fewer working-class bands/artists making their way into the mainstream. I have mentioned Britpop and how many great working-class acts were on the scene. Now, maybe tied to a lack of working-class journalists, there are far fewer artists who talk about the country in a real and relatable way. Not that every southern artist is middle-class but one normally looks to the North for those proletariat prophets. I am concerned it is becoming acceptable for any artist north of London to be seen as ‘Londoners’. Just because an area is not commercial or has not produced AS MANY great artists as London: does this mean we should overlook them and assume nothing good is going on there?! There is a desperate need for Rock heroes/heroines and something real in music. Wolf Alice, whilst based down this way is a great act who will go far, there are people looking up to the North for those who can push Rock and Indie forward – that is where the best and sharpest have resided, traditionally. Even if it were the case the best Rock artists are based in the South (which it isn’t); it is giving undue and disproportionate attention to one part of the country. There are fantastic clans and sounds coming from Manchester, Leeds and Sheffield. WAITING to have their voices heard!